This is a post nobody has asked for and won’t make your D&D game any better, but I feel like writing it because I find it interesting. Let’s talk about Durnan, venerable owner of The Yawning Portal, leader of the Red Sashes, one time Masked Lord of Waterdeep, and of the way he has been presented throughout various editions of D&D and other products. Then let’s talk about D&D as an IP and why I think Durnan is slated to be a major player for the brand moving forward. Definitely not someone you’d want to mess with. There are no images of Durnan in FR1, so his look is left up to your imagination. There are a few nuggets of backstory there, suggesting that he’s been wandering the world alone ever since hobgoblins killed everyone he knew when he was just a child. In TSR 1060 “Ruins of Undermountain” for 2e AD&D, Durnan is expanded upon a bit. He’s described as being about 45 years old, and with a family. The unfortunate part is that the wife is described as being 30, and his daughter 16…..yuck…. There was no picture of Durnan in this product either, so he was left to our imagination. In 3e Dungeons and Dragons, Durnan’s appearance starts to deviate a bit from what we saw in 2e. In a 2003 computer game, “Neverwinter Nights: Hordes of the Underdark”, we get a new image of Durnan! 100 years old? White hair? What happened to him being 45 as stated in the ruins of Undermountain boxed set? Or the description found in the Heroes’ Lorebook that read “His dark hair is spotted with gray, and he is starting to go bald.”? Or that look in the Neverwinter Nights computer game? 3.5 D&D gave us “Expedition to Undermountain”, where Durnan once again shows up. Here, the authors explicitly set the date as 1375DR, and provide an updated image of Durnan. One would expect a near-100 year old man with white hair, right? His family, as described in 2e’s Ruin of Undermountain, is still around. Dafuq? He looks like Bono. While no year is mentioned as to when this game takes place, it’s safe to assume it is set in the 3e era of the Forgotten Realms, based on some of the organizations and people included in the game. But really, that picture? Why is Durnan so inconsistent? Anyway, moving on… In 4th edition D&D, set 100 years after 3e, Durnan is no longer around. He either died or disappeared. What happened to Durnan isn’t even spelled out for us. But it doesn’t matter, because “Halls of Undermountain”, a 4e adventure, includes a writeup of a direct descendant of Durnan named “Durnan the Sixth”. So, no mention of what happened to Durnan, so it’s probably best to assume that he died, right? Cut to 5e’s “Tales from the Yawning Portal”, where the original Durnan, not the 4e stand in, is back behind the bar at the Yawning Portal, running the show. He’s also featured on the cover of the book. Joining some iconic D&D personalities such as the fire giant King Snurre, the arch lich Acererak, the Xanathar, along with other iconic characters of the game. Here, We’re told that Durnan has returned from Undermountain once again, paid off Durnan the Sixth (handsomely) to go away, and retook ownership of the bar. Obviously magical shenanigans are at play here in regards to his survival, but he’s definitely the original Durnan from the early days of D&D. Honestly, it’s a weird retcon. Would new players to the game know that Durnan the Sixth is a different Durnan? And would older players care that it isn’t? Odd. And his aesthetic is… quite different from what we’ve seen. But at least it’s consistent. So what’s up with Durnan? Well, in my opinion, WOTC is setting up Durnan to be an important character for the brand. In fact, I’d go as far as to say that we’ll see him on the silver screen, and having a defined aesthetic and story is important for IP purposes. And that’s what D&D is, an IP beyond just the game. And every IP needs characters, rights? He’s featured on the cover of a book, and has been explicitly brought back from the dead to take his rightful place in Waterdeep. His backstory is definitely more interesting than 4e’s Durnan’s the Sixth, who basically had none. He was a cardboard stand-in. I think that we’re going to see this guy in a D&D film…. I mean, we already know that the Yawning Portal will feature in it. And I think that he’s destined to be a major character… let’s see. Anyway… hope you enjoyed this trip down Durnan memory lane. 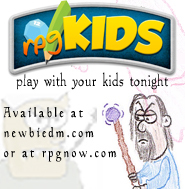 If you would like to support NewbieDM.com, perhaps you’d consider visiting Amazon.com for your next rpg related purchase. All links to Amazon in this article are linked to my Amazon Associates account. I think you really hit on the answer at the end. He was a bit character for a moderately important place, so the various authors dealing with him (and the editors, developers, and project managers) didn’t feel they had to be consistent. Now, there is a desire to make that place an explanation for how you can bring in any fantastic location from classic D&D (mainly Greyhawk) and explain it away as being part of the Realms. Durnan becomes a consistent part of that lore, and part of the mystery making it possible, so there is a need to cement his image. Despite the fact he should be dead due to old age. Durnan is just one of many NPCs brought back. Some of the ones kept in places like Daggerford really should not still be alive. They are minor players who would not have access to magic to stay alive. But there is a strong power to nostalgia and to recurrence, so I get why it happens. Yeah, I’m still not sure why they felt the need to do what they did with the 4e version if Durnan. They took the time to retcon him away, when nobody would have cared if he had just stayed as Durnan the Sixth. Really odd choice to make. Regardless, I think we’ll see this mutton chop version in a movie one day.